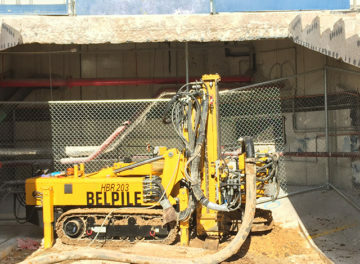 Belpile provided a design and construct alternative for the piled foundation scheme along the northern promenade at AFC. 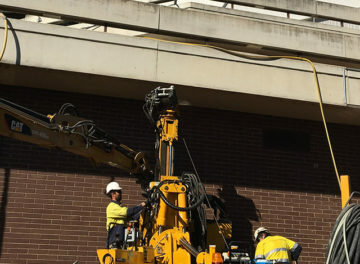 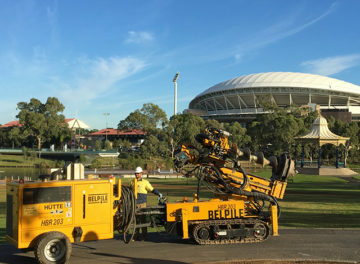 This involved re-designing the proposed driven pile system to a CFA solution to provide a lower impact installation in terms of noise and vibration. 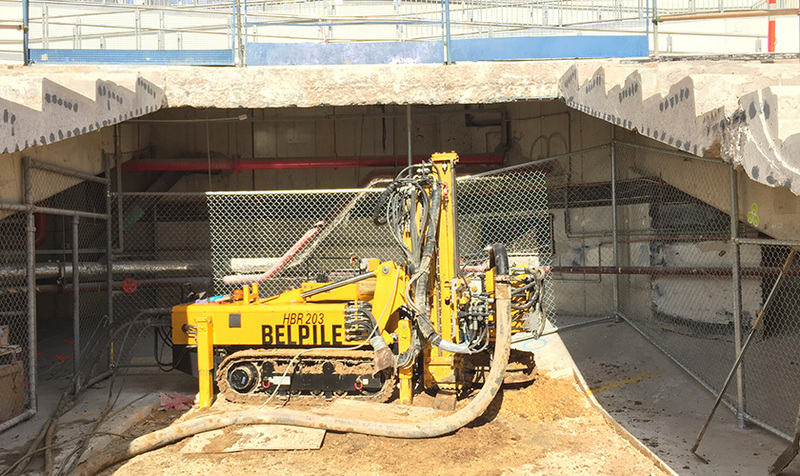 A drilled pile solution was more suited to the construction environment, with numerous unknown ground obstructions and services to manage. 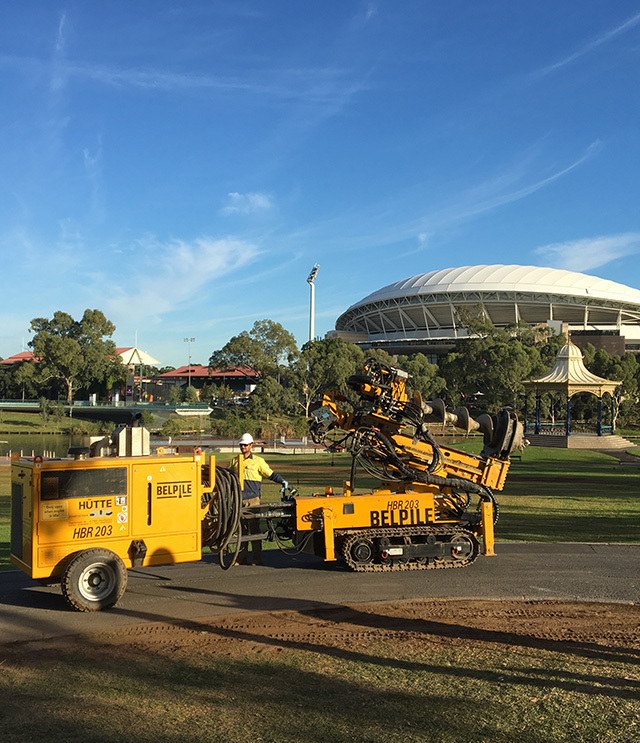 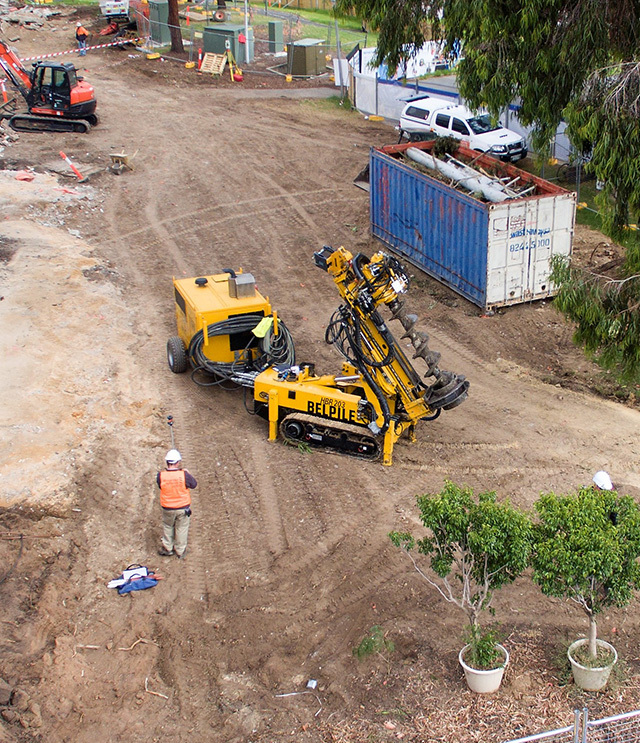 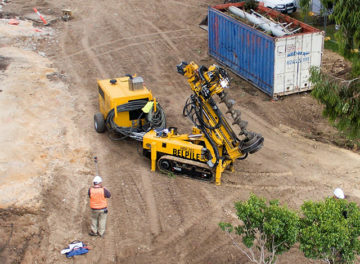 Over 130 Sectional CFA piles were installed were installed through Torrens Alluvium. 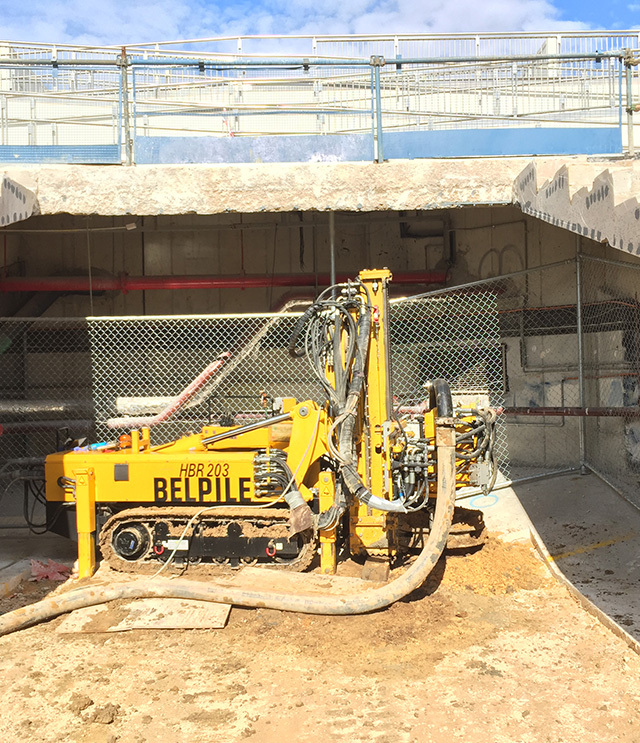 The considerable variation in ground conditions across the site was profiled thoroughly with additional site investigation works (Cone Penetration Testing) and pile design was then optimised to suit localised conditions, resulting in significant savings to the project. 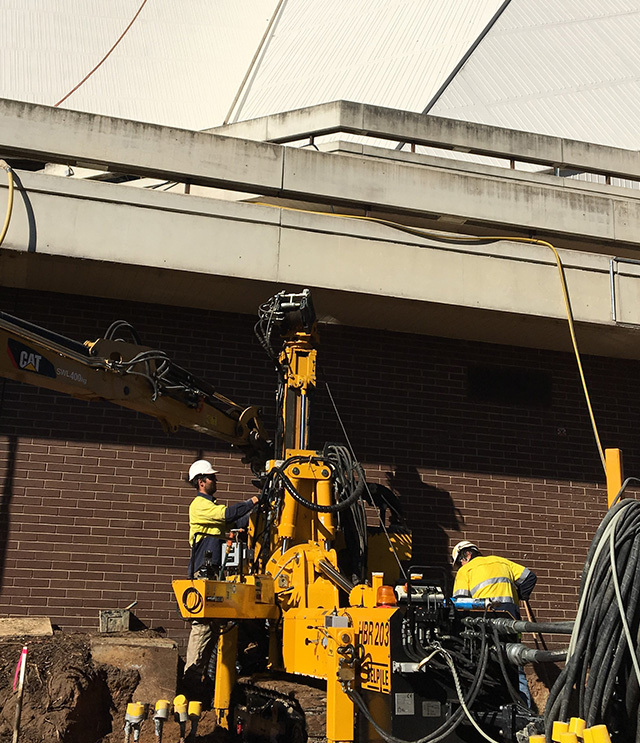 Piles were installed in limited headroom and working space, within the existing amphitheatre and beneath existing walkways.